Every part of your body vibrates to its own rhythm. Your brain has a unique set of brain waves. In neuroscience, there are five distinct brain wave frequencies, namely Beta, Alpha, Theta, Delta and the lesser known Gamma. Learning mind control at the deeper states of consciousness opens you up to the world of your subconscious mind where you can create your reality at will and with exact precision. Each frequency, measured in cycles per second (Hz), has its own set of characteristics representing a specific level of brain activity and hence a unique state of consciousness. 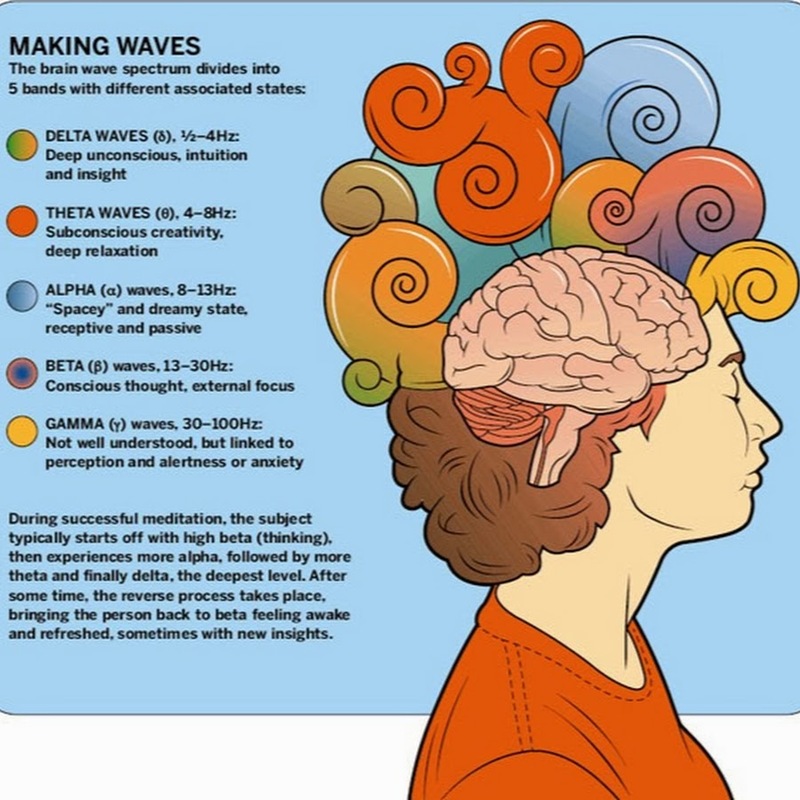 Beta (12-30Hz): Beta brain waves are associated with normal waking consciousness and a heightened state of alertness, logic and critical reasoning. As you go about your daily activities you are at Beta. Although important for effectively functioning in everyday life, higher Beta levels translate into stress, anxiety and restlessness. With the majority of adults primarily operating at Beta during their waking hours it is little wonder that stress is today’s most common health problem. 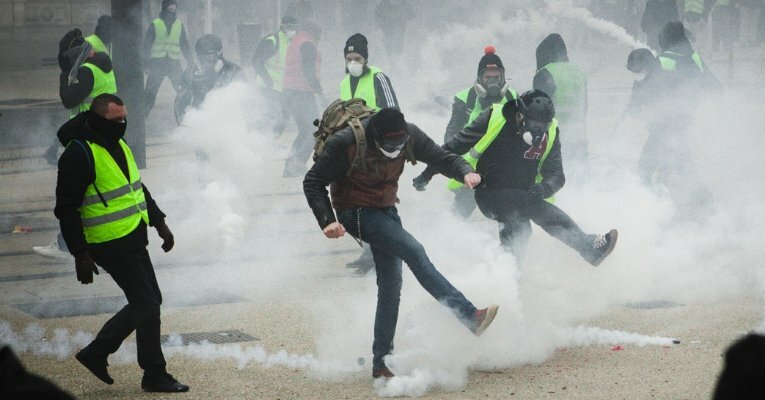 The voice of Beta is the little nagging chatterbox of your inner critic, which becomes louder and more relentless the higher you go in the range. Alpha (7.5-12Hz): Alpha brain waves are present in deep relaxation with the eyes usually closed and while day-dreaming. 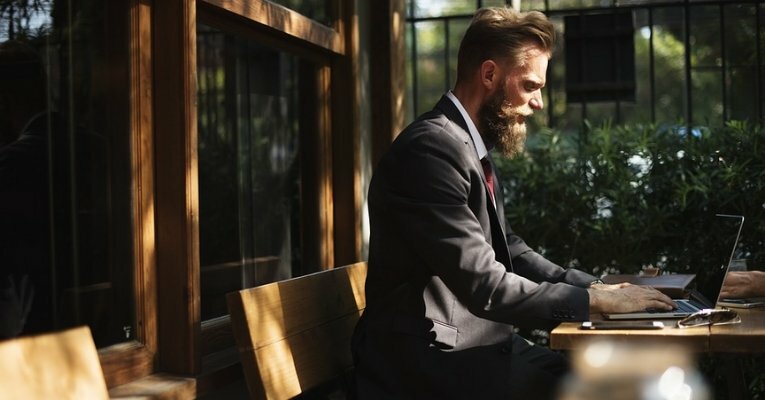 The relaxed detached awareness achieved during light meditation is characteristic of Alpha and is optimal for programming your mind for success. Alpha heightens your imagination, visualization, memory, learning and concentration. It lies at the base of your conscious awareness and is the gateway to your subconscious mind. The renowned Silva Method by Jose Silva is premised on the power of Alpha. The voice of Alpha is your intuition, which becomes clearer and more profound the closer you get to 7.5Hz. Theta (4-7.5Hz): Theta brain waves are present during deep meditation and light sleep, including the REM dream state. Theta is the realm of your subconscious mind. It is also known as the twilight state as it is normally only momentarily experienced as you drift off to sleep (from Alpha) and arise from deep sleep (from Delta). A sense of deep spiritual connection and oneness with the Universe can be experienced at Theta. Vivid visualizations, great inspiration, profound creativity, exceptional insight as well as your mind’s most deep-seated programs are all at Theta. The voice of Theta is silence. Delta (0.5-4Hz): The Delta frequency is the slowest and is present in deep, dreamless sleep and in very deep, transcendental meditation where awareness is completely detached. Delta is the realm of your unconscious mind. It is the gateway to the Universal mind and the collective unconscious whereby information received is otherwise unavailable at the conscious level. Delta is associated with deep healing and regeneration, underlining the importance of deep sleep to the healing process. The following chart shows the EEG (Electroencephalography) graphs of the four major levels of brain activity. The Alpha-Theta border, from 7 to 8Hz, is the optimal range for visualization, mind programming and using the creative power of your mind. It is the mental state at which you consciously create your reality. At this frequency of mind control you are conscious of your surroundings but your body is in deep relaxation. To learn how to access this level of mind at will you must first learn how to relax. Gamma (30-100Hz): The most recently discovered range is Gamma which is the fastest in frequency at above 40Hz (some researchers do not distinguish Beta from Gamma waves). Although little is known about this state of mind, initial research shows Gamma waves are associated with bursts of insight and high-level information processing. 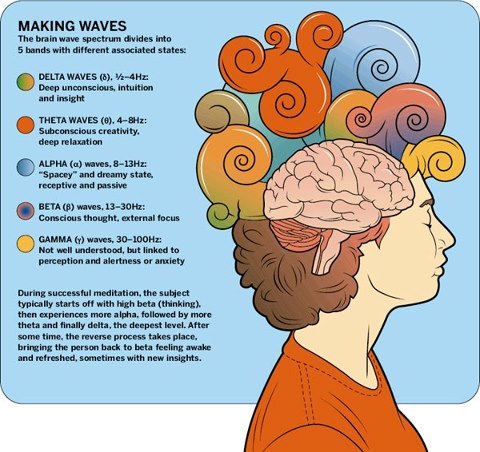 In a nutshell, there are five major brain wave ranges: Beta (12-30Hz) is present in normal waking consciousness and is heightened during times of stress; the Alpha brain wave (7.5-14Hz) in deep relaxation; Theta (4-7.5Hz) in meditation and light sleep; and the slowest, Delta (0.5-4Hz) in deep dreamless sleep and transcendental meditation. The less recognised Gamma is fastest (above 40Hz) and associated with sudden insight. The optimal level for visualization is the Alpha-Theta Border at 7-8Hz. It is the gateway to your subconscious mind.